In recent years, gamification is becoming popular in education development to enrich students experience in classroom. However, there is still lack of awareness among educators and the concern of whether the gamification technique is acceptable by students. This paper presents the effectiveness of gamification technique to improve students’ engagement in Database Design subject at Polytechnic Muadzam Shah Pahang, Malaysia. A framework to implement the gamification technique in higher education is also described. As for the evaluation, an empirical investigation method is adapted and data was collected based on Technology Acceptance Model (TAM) and Student Course Engagement Questionnaire (SCEQ). The evaluation results indicate that the students positively inclined towards gamification caused by the ease of the platform used rather than the benefits that they can obtain from the gamification, concluding that Perceived Ease of Use (PEOU) is a better indicator for students’ attitude towards gamification. Student engagement is known as an important attribute to influence students’ achievement. Students’ preceding learning (readiness), enthusiasm for learning, and the way the input is introduced to them are some of the factors that influence their ability to learn (Eltegani and Butgereit 2015). Diverse learning styles among the students also contribute to the way they engage in the activities conducted by the educators. Sustaining the students’ interest and participation is a struggle that leaves the educator in a quandary. This is because students’ involvement plays an important factor in their achievement and performance (Handelsman et al. 2005) measured during either the formative or summative assessment. Mohd et al. (2016) found that active students are more likely to perform well as they retained more knowledge during learning activities. Several studies referred to gamification as a technique to increase the students’ engagement (Hanus and Fox 2015; Kuo and Chuang 2016; Sanmugam et al. 2016). Gamification is the use of game design elements in non-game settings to engage participants and encourage desired behaviors. Technological developments allow the use of game elements in a non-game context by extending the methods that can be employed by educators in developing lesson plans. Not all educators are creative enough to include gamification in their lessons, thus online platforms such as Kahoot!, Quizizz, Socrative, and Quizalize provide excellent options for educators to choose from in diversifies lesson plans and activities that can captivate and inspire students’ motivation and increase students’ engagement during lessons in the classroom. The dynamic of games has influence the popularity of gamification in the effort to enrich students experience in their learning journey, especially in a classroom. This paper explores the effectiveness of gamification technique to improve the students’ engagement in database subject implemented in Polytechnic Muadzam Shah Pahang, Malaysia. Following the introduction, Section “Related Study” presents related studies on students’ engagement and gamification. This is then followed by Section “The Research Framework and Model” that elaborate on research framework and model. Sequentially, Section “The Empirical Investigation Instruments” describes the empirical investigation instruments to evaluate the gamification effectiveness and Section “Results and Discussion” presents the results and analysis. Finally, Section “Conclusion” concludes the paper. There are many definitions arose from numerous studies regarding the term of student engagement. Most literature found, defined student engagement as activities performed either physically or mentally by students in their pursuit to gain knowledge (Dixson 2015; Mohd et al. 2016; Marx et al. 2016). In a different angle, a study by Hu et al. (2016) define it as engagement that happens when students are using online learning platform in their learning as in this environment; the learning materials can only be accessed by the students themselves. These studies also identify factors that contributed the students’ engagement. Mohd et al. (2016) and Hu et al. (2016) stated that students engagement comprised of three dimensions; cognitive, behavioural and emotional engagement. Other studies by Handelsman et al. (2005), Dixson (2015) and Marx et al. (2016) however categorized student engagement into four factors which are skill engagement (represented by skill displayed by students), emotional engagement (represented by students’ feelings), participation (represented by activities done by students in learning) and performance engagement (represented by the result of assessments done by students). In addition, Marx et al. (2016) also listed another engagement which is total engagement to measure the students’ perception of their overall engagement in one of the course taken in the college. Based on the literature, several significant influences were identified. Relationship between students and educator was found to play very important role in students’ engagement (Mohd et al. 2016; Marx et al. 2016). Furthermore, Marx et al. (2016) also stated that educators’ expectation for the students to be engaged in classroom can be met if the educators themselves reciprocate this expectation towards the students. Today, wealth of technologies available in the world of education makes traditional learning (chalk and talk method) more and more marginalized. This method of learning is considered to be teacher-oriented and becoming increasingly less used by today’s educators. In recent years, the concept of gamification in education is gaining a foothold as an area of study among researchers. Researchers describe gamification as infusing game component into a non-game context (Hanus and Fox 2015; Kuo and Chuang 2016) which can be used as a mean to promote student engagement in the classroom (Hamari 2015; Hanus and Fox 2015; Sanmugam et al. 2016). Leaderboard, badges, points and levels are some of the game elements employed in previous studies (Barata et al. 2013; Hamari 2015; Hanus and Fox 2015; Kuo and Chuang 2016; Sanmugam et al. 2016). According to Table 1, badges are the top choice of researchers to be used in the gamification being implemented followed by leaderboard. 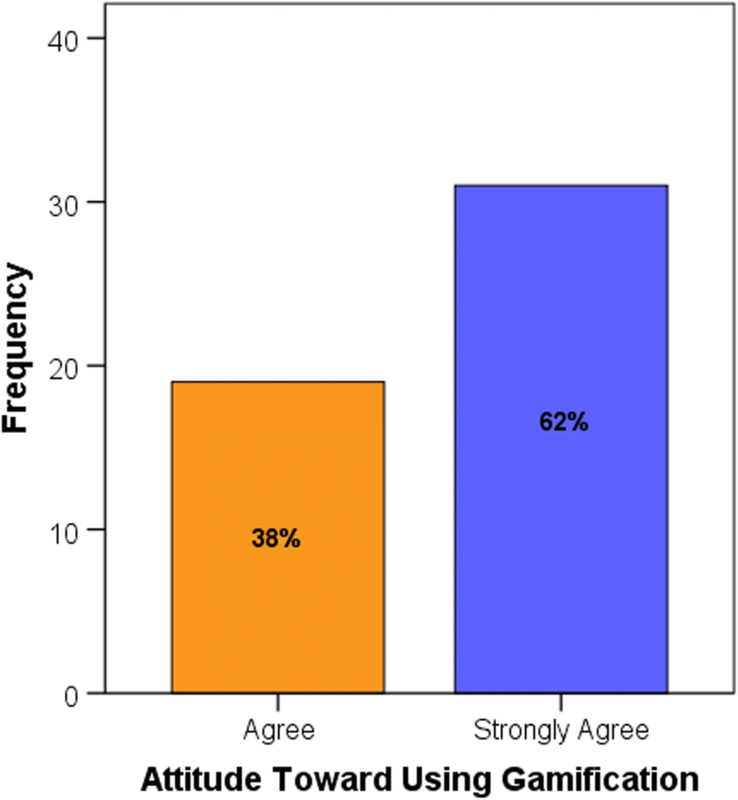 This may be caused by users’ perception that badges will highlight their social status to their peers (Hamari 2015). Although most studies found that gamified learning has a positive impact on student engagement (Barata et al. 2013; Hamari 2015; Kuo and Chuang 2016; Sanmugam et al. 2016), the discovery from Hanus and Fox (2015) contradict this finding. Hanus and Fox (2015) found that over time, students experiencing gamified learning showed a decline in their motivation thus affecting their final exam scores. The researchers attribute this decline to the expiration of novelty of the method used as the research was conducted over the period of 16 weeks. This led to the conclusion that any gamification undertaken must be considered with great care as to it not being a detrimental to the students as opposed to helping them in their learning. Some researchers also study the gamification platforms which use web-based students’ response systems such as Kahoot! and Quizizz (Wang 2015; Wang and Lieberoth 2016; Chaiyo and Nokham 2017; Sawang et al. 2017). Wang (2015), found that Kahoot! implementation in different situation (event and semester) by two groups of students produce the same result as both groups agree that the game are still engaging irrespective of the duration they were using the Kahoot!. The students similarly found that the interactive and fun way of learning provided by Kahoot! increased their determination in winning the game which helped their engagement in class. Thus, Wang (2015) concluded that the duration of gamification did not affect negatively on the students’ engagement. In another study, Wang and Lieberoth (2016) expanded the research by studying the effects of game elements such as audio and points in Kahoot! towards students’ engagement. The result indicates that although the use of audio do have positive impact on students’ interaction, the combination of both audio and points gave a much greater effect as they provide positive classroom dynamics (Wang and Lieberoth 2016). In contrast, Chaiyo and Nokham (2017) studied the effects of three different gamification tools to the students’ engagement, enjoyment, concentration, perceived learning, satisfaction and motivation in lessons. They found that although all the three tools, which are Kahoot!, Quizizz and Google Form, did not show any variance on how the students perceived their learning, the students were more biased towards Kahoot! and Quizizz in comparison to Google Form as they agree that Kahoot! and Quizizz can improve their concentration, engagement, enjoyment and motivation (Chaiyo and Nokham 2017). Figure 1 shows the operational research framework proposed for this study which is divided into two phases. In the first phase, the introduction to the gamification technology was conducted at the beginning of the semester followed by the lectures intersperse by formative assessment using both online gamification platforms; Kahoot! and Quizizz throughout the semester. At the end of the semester, phase 2 commenced with students answering the questionnaire given. A model was developed in this study to investigate the students’ acceptance towards gamification and its effects towards the students’ engagement rate during lessons. This model is designed based on the Technology Acceptance Model (TAM) with the exclusion of Behavioural Intention (BI) and Actual System Usage (U) constructs. As the implementation of the gamification during lesson was conducted by the lecturer, U of the technology which is influenced by the BI is not relevant in this context. As such, these two constructs are excluded from the proposed Gamification Acceptance Model (GAM) as shown in Fig. 2. The model advocates that Gamification Perceived Usefulness (GPU) which is also predisposed by Gamification Ease Of Use (GEOU), together with GEOU are the two factors that are affecting the students’ attitude towards gamification. GPU can be defined as the degree to which the students’ belief in using gamification will enhance their performance in learning, whereas GEOU is denoted as the degree to which the students expects the gamification to be free of effort. H1: Perceived ease of use has a positive influence on the students’ perceived usefulness of gamification in learning. H2a: Perceived usefulness has a positive influence on the students’ attitude towards using gamification technology in learning. H2b: Perceived ease of use has a positive influence on the students’ attitude towards using gamification technology in learning. 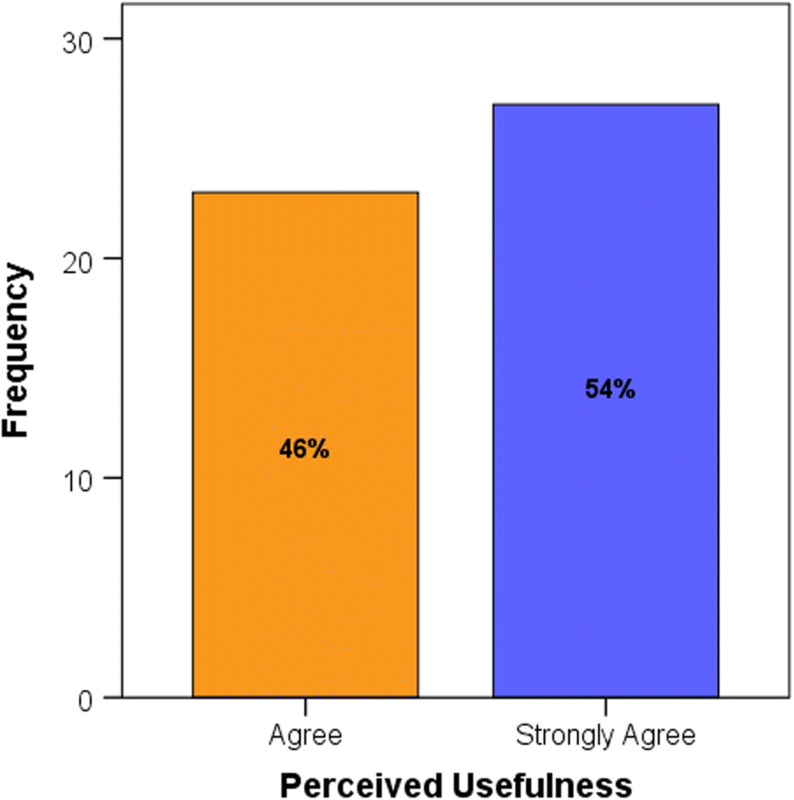 H3a: Perceived usefulness has a positive influence on the students’ engagement. H3b: Perceived ease of use has a positive influence on the students’ engagement. H3c: Students’ attitude towards using gamification technology has a positive influence on the students’ engagement. In this study, 50 Diploma of Information Technology (Networking) students from Information and Communication Technology Department, Polytechnic Muadzam Shah Pahang, Malaysia taking a Database Design subject were chosen as participants. The participants were students who were taught by the researcher, making the process of study easier to be conducted. At the beginning of the semester, a short introduction was given to the students regarding the use of Kahoot! and Quizizz in the classroom. This gave the students options of using their own devices (smart phones or tablets) other than the computers provided in the laboratory. Lessons were conducted based on the lesson plan. After each subtopic is completed, a pop quiz using Kahoot! was held to assess the students understanding before going to the next subtopic. At a certain interval, Quizizz were then used to assess the students and the points obtained by students contributed to 5% of their overall assessment marks. At the end of the semester, a survey was administered to the students in effort to measure students’ engagement in lessons done via gamification. This survey result helped in proposing the use of gamification in information technology course offered by Polytechnic Muadzam Shah Pahang, Malaysia. In measuring the students’ engagement based on the Gamification Acceptance Model (GAM), a survey instrument to assess students’ acceptance of gamification in their learning process based on Student Course Engagement Questionnaire (SCEQ) by Handelsman et al. (2005) and the Technology Acceptance Model (TAM) by (Davis et al. 1989) was developed as shown in Table 2. Consisting of 18 items, this survey measured students’ engagement using only two construct defined by Handelsman et al. (2005) which is the skill engagement (3 items) and participation/interaction engagement (4 items). Then, these two constructs were combined as another factor which is student engagement (total of 7 items). Items from the SCEQ are adapted in this survey and small modification is done to clarify the context of the statements to ensure students have full understanding of the items. On the other hand, students’ acceptance of gamification was measured by two constructs which were perceived of usefulness (4 items), perceived ease of use (4 items) and attitude towards using gamification technology (3 items). Items contained in the perceived usefulness and perceived ease of use components is adapted from previous studies done to measure technology acceptance of users (Davis et al. 1989; Davis 1989; Fathema et al. 2015). All items used a 5-point Likert scale option ranged from 1 (Strongly disagree), 2 (Disagree), 3 (Neutral), 4 (Agree), and 5 (Strongly Agree). The other 2 items covered the demographic data of the students which is the gender and age. As this study is similar to the research done by Sawang et al. (2017) for the purpose of measuring students’ engagement after the use of certain technology, we decided to employ a descriptive statistics to describe the means, correlations, standard deviations and alphas of the variables as used in the study involving a much smaller population compared to Sawang et al. (2017). Demographic data collected from the respondents only comprised of 2 items which are the gender and age of the respondents. Table 3 and Fig. 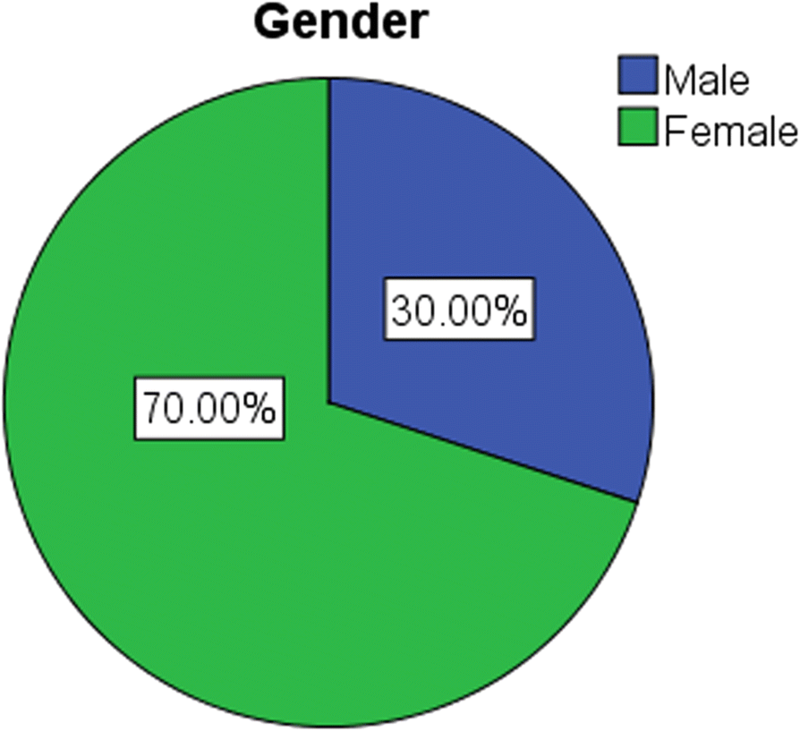 3 showed the percentage of respondents based on their gender. 70% of the respondents are female students which are over twice the number of the male students. This is a common occurrence in Polytechnic Muadzam Shah as the female students’ enrolment rate is much higher than the male students especially in the Information and Communication Technology Department. 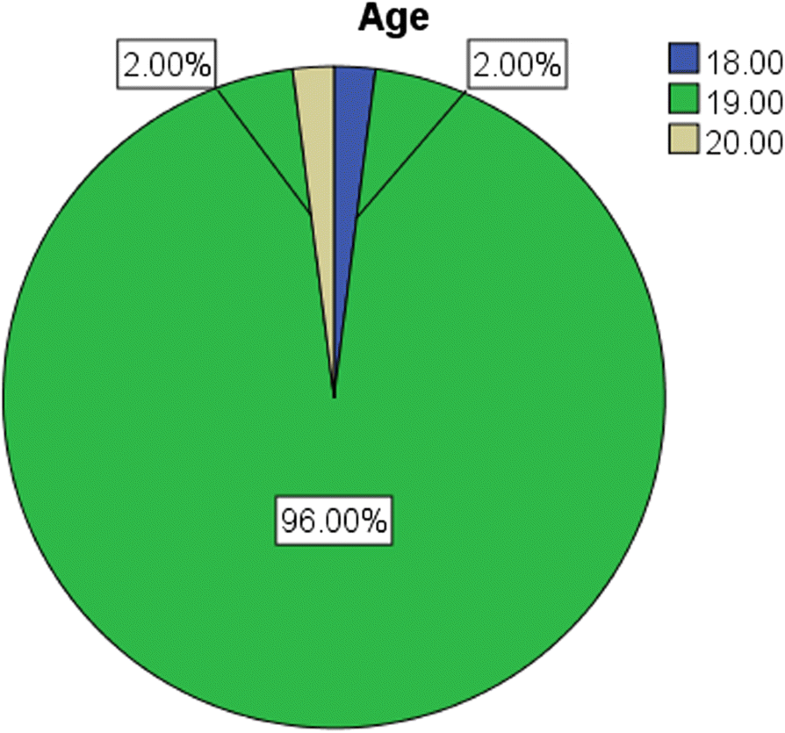 Meanwhile, 96% of the respondents are aged 19 years old as shown in Table 4 and Fig. 4. The reliability of the constructs used in Gamification Acceptance Model was tested using SPSS 20.0.0 based on 50 responses. Using Cronbach’s alpha to measure the internal consistency of the instrument used in this study, the result showed an acceptable values above 0.7 thresholds for all construct as shown in Table 5. This thresholds was recommended by Šerbetar and Sedler (2009). Thus, the instruments used can be said to be reliable and acceptable. Table 6 showed the exploratory factor analysis (EFA) performed on 18 question items using SPSS 20.0 to inspect the discriminant validity of the measurement used in this study. Perceived usefulness and perceived ease of use each had 4 question items, attitude towards using gamification technology had 3 question items and student engagement had 7 question items. The EFA was also done using varimax rotation method. Eigenvalue was not chosen as factor extraction method to avoid any under or over extraction of factors which can considerably change the solution and analysis of the result as advised by Courtney (2013). Instead, a fixed number of 5 factors were chosen to be applied in this EFA. Table 6 also shows that 18 items for all constructs had sufficient validity as the loadings of the items surpass 0.5 which is considered as acceptable by He et al. (2013). Overall, the result observed indicates the adequacy of the measurement used in this study. Analysis for perceived usefulness variable in Table 7 shows that the distribution of the data was normal as the value of mean and median were close with low value of standard deviation. The mean value in Table 7 was 4.54 showed that, as a whole, the respondents strongly agree on the usefulness of the gamification technology conducted in this study. This was shown more deeply in Table 8 and Fig. 5 where 46% of the respondents agreed on usefulness of the gamification technology and another 54% of the respondents strongly agreed that gamification technology was useful. This shows that all students agreed that using gamification technology in the classroom can benefit their learning experience. Analysis for perceived ease of use variable in Table 9 shows that the distribution of the data was normal as the value of mean and median were close with low value of standard deviation of 0.64397 which means that the data are clustered more closely around the mean value. The mean value in Table 9 was 4.44 showing that, in overall, the respondents agree on the ease of use of the gamification technology conducted in this study. Table 10 and Fig. 6 showed the frequencies of the respondents with 8% of them were neutral on the ease of use of the gamification technology, whereas 92% of the respondents agreed and strongly agreed that the gamification technology was easy to use. Majority of the students in this study used their own smart phone to connect to the gamification platform. As such, the situation of not having enough data for internet and slow internet connectivity may influence students’ perception on the ease of use of gamification. However, the number of cases was very low with only 8% of the respondents who did not have any opinion on the ease of use of the gamification. Table 11 shows the analysis of respondents’ attitude towards using gamification technology. The close values of mean and median and low value of standard deviation (0.49031) shows that the data is clustered around the mean value, indicating that the distribution of data for attitude towards using gamification technology was normal. The mean value of 4.62 depicted in Table 11 points to the overall respondents’ attitude towards using gamification which is between agree and strongly agree. Table 12 and Fig. 7 revealed that 38% of the respondents agreed on their attitude towards using gamification technology, while the other 62% respondents strongly agreed on their attitude towards using gamification technology. Students showed a very positive attitude towards the use of gamification in classroom as it brings a fresh and innovative learning environment. Table 13 shows the analysis of respondents’ engagement variable. The close values of mean and median and low value of standard deviation of 0.55733 indicate that the distribution of data for respondents’ engagement when using gamification technology was normal. The standard deviation value also depicts that the data are not widely spread from the mean value showing that the data are more reliable. The mean value of 4.34 depicted in Table 13 shows that the overall respondents agreed on the engagement when using gamification technology. According to Table 14 and Fig. 8, 4% of the respondents were neutral in regard of their engagement when using gamification technology, while 58% respondents agreed and 38% strongly agreed on their engagement in learning when using gamification technology. 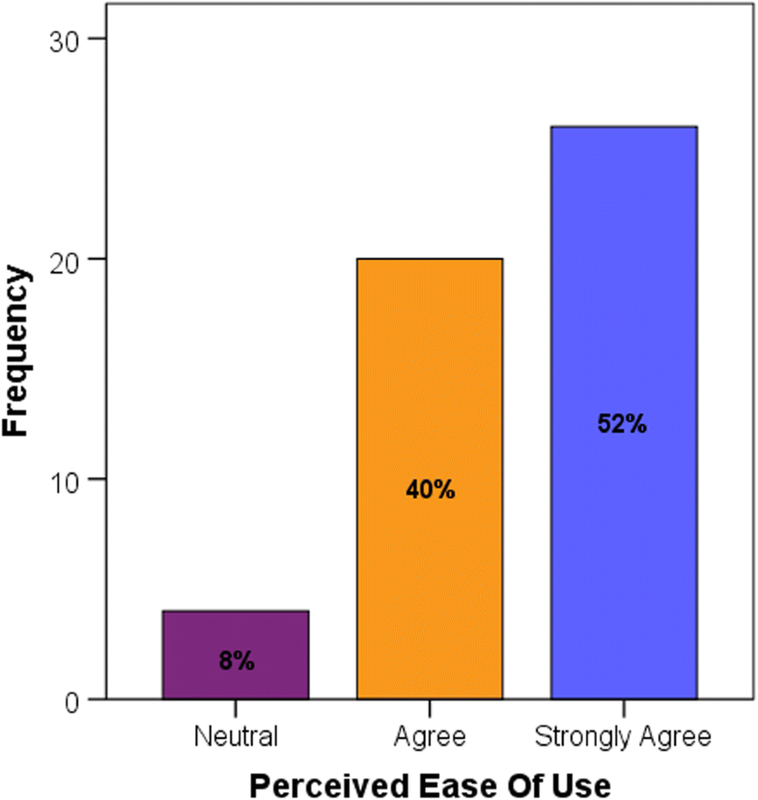 96% of students feel that gamification helped them in increasing their skill engagement where they were more inclined to take notes in the classroom; prompting them to listen more carefully during lectures as it may help them in answering the quizzes conducted via gamification later on and contributing to their increase interaction in the classroom as they were more eager to ask question during lessons. The study discovered that in using gamification students were more inclined to use the gamification if the technology was easy to use and thus, taking less account of the usefulness of the gamification. Perceived ease of use was also found to be a better indicator of students’ attitude towards using gamification technology as students did not have to concern themselves with the ‘know how’ of the technology on top of answering the quizzes given. The study also revealed that students’ engagement construct can be used as a gauge to measure the acceptance of students towards gamification. However, perceived ease of use, perceived usefulness and attitude towards using gamification technology constructs must be taken into account as a whole to predict student engagement. Consequently, the gamification of the learning environment must ensure that the technology selected is easy to use and able to attract the students to increase student engagement in the classroom. Therefore, it can be concluded that Kahoot! and Quizziz as gamification platforms selected in this study are able to enhance student engagement in a classroom. These platforms can also save educators from the hassle of setting up their own gamification platform as not all educators are creative enough to gamify their own lessons. Therefore, gamification platforms such as Kahoot! and Quizizz as well as other similar platforms can be proposed as a learning tool in the classrom at Polytechnic Muadzam Shah Pahang, Malaysia. The publication of this paper (if applicable) is funded by Universiti Teknikal Malaysia Melaka through a research grant numbered PJP/2017/FTMK-CACT/S01573. RAR carried out the empirical investigation and wrote the first draft of the manuscript. SA participated in designing the empirical investigation protocol, structure and review the manuscript. URH participated in analysis of the empirical investigation results. All authors read and approved the final manuscript. Dixson, M. D. (2015). Measuring Student Engagement in the Online Course: The Online Student Engagement Scale (OSE). Online Learning Journal, 19(4). https://doi.org/10.24059/olj.v19i4.561.